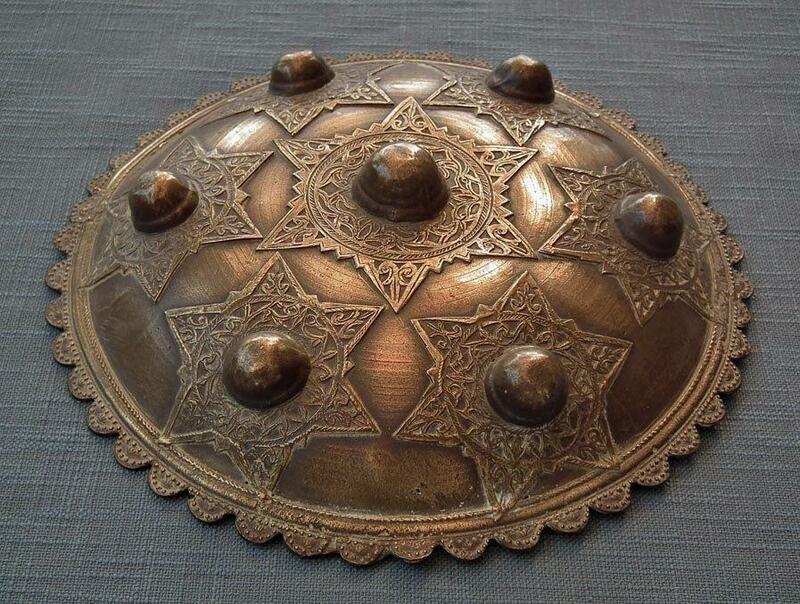 A superb quality antique 19th century Islamic Indonesian-Sumatra brass shield Peurise Teumaga from the Muslim Sultanate of Aceh-Atjeh. 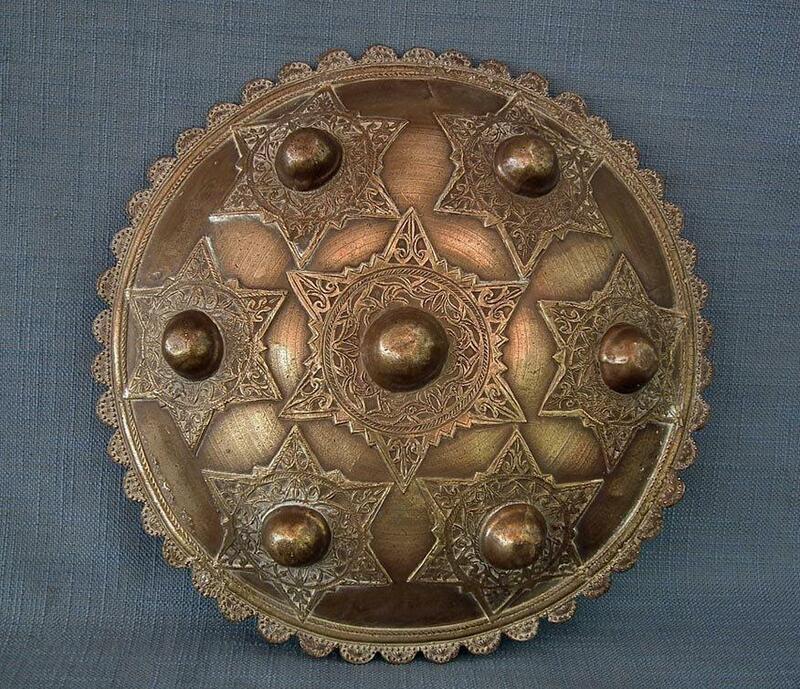 DETAILS: A cast brass shield of circular convex form with a scalloped edge embellished with a raised knobbed pattern, the center decorated with the Islamic six-pointed star, Seal of Solomon – Khātim Sulaymāni خاتم_سليمان, and surrounded by six smaller similar stars each set on the center with domed bosses and decorated with very fine intricate designs. 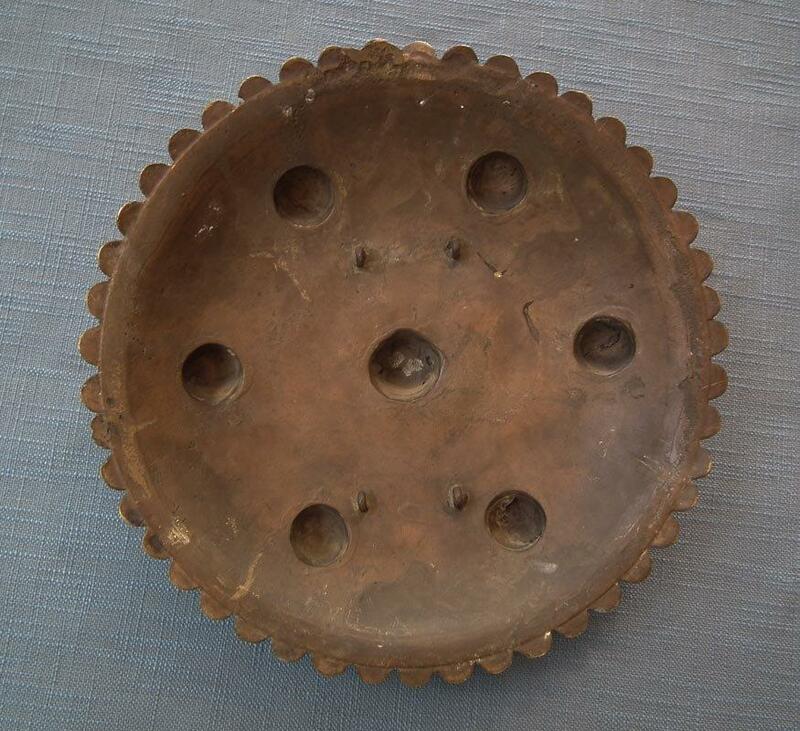 The reverse has been cast with four lugs through which an arm strap could be threaded. The quality of this shield is superb and the stars are cast with crisp details rarely seen on the Peurise Teumaga shields. 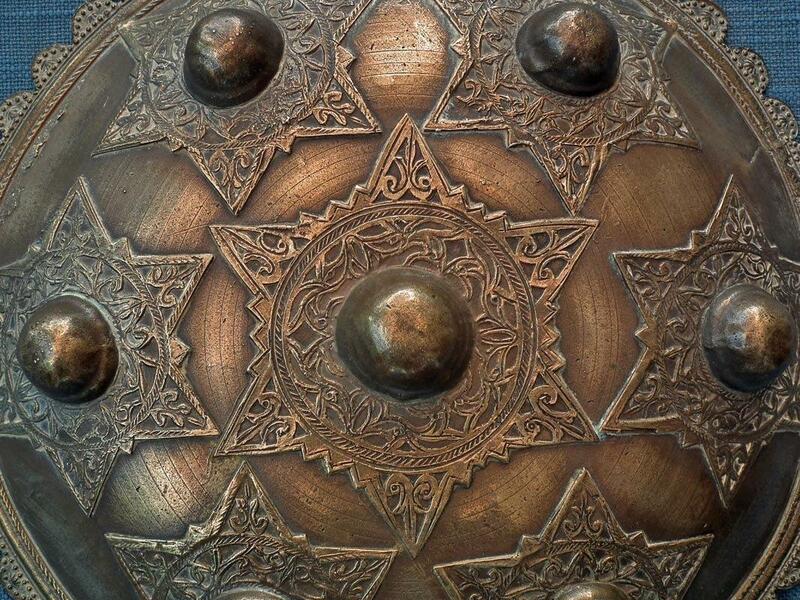 REFERENCES: Similar shields are shown in A.G. Van Zonneveld Traditional Weapons of the Indonesian Archipelago p. 10, Fig. 417-420. The buyer will be provided with copies of the pages from the mentioned references together with a certificate of authenticity. CONDITION: Showing age and usage, some age wear overall, both sides show a nicely aged patina and one of the scalloped ornaments is slightly bent but otherwise is in excellent condition.